Anne Martel was appointed Deputy Chief Executive Officer and Chief Operational Officer of Amundi London Branch in July 2015. Anne transferred to London from Amundi in Paris where she held the position of Global Head of Internal Audit of Amundi Group since 2011. In total, Anne worked for nine years in Internal Audit within the Investment Banking and Asset Management sectors. Prior to this Anne held a management position in the Capital Planning Department of Société Générale and was the Head of OTC Equity Derivatives Back Office with in Société Générale Investment Banking. Anne began her career in 1997 at Calyon where she worked for five years in Internal Audit and two years as a Fixed Income Sales Business Manager, consecutively. 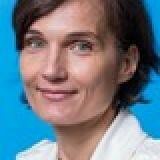 Anne is a graduate of HEC International Business School in Paris. 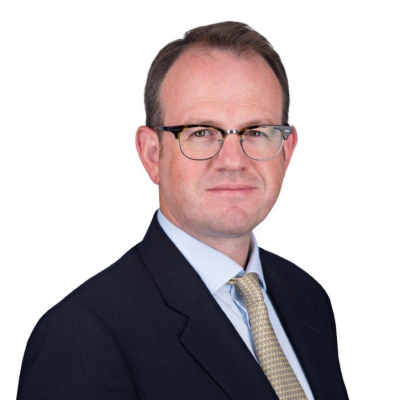 John Marsland is Chief Operating Officer, Investment at Schroder Investment Management in London and is responsible for global trading, investment operations and the investment management platform. 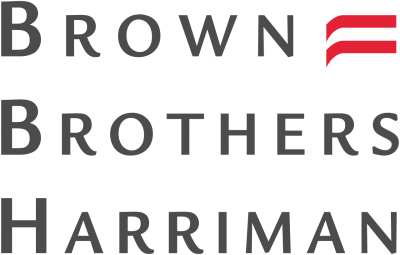 Mr. Marsland began his investment career in 1992 at UBS Philips & Drew as a UK economist, and subsequently moved into investment strategy, risk management and quantitative fund management roles. 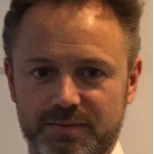 Mr. Marsland read Economics at Downing College, University of Cambridge, and holds a MSc in Economics from Birkbeck College, University of London. He is a CFA charterholder and has served a board member and vice-chair of CFA UK and as a member and chair of the CFA Institute's Claritas Investment Certificate Advisory Board. 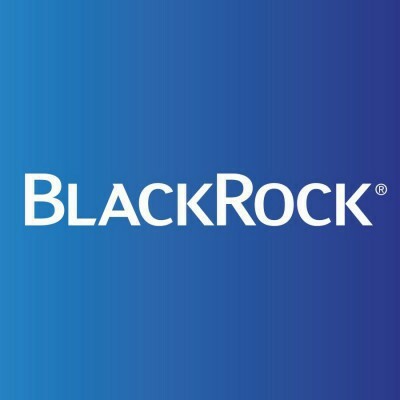 Mark Persiani, Director in Derivative Operations, is a member of BlackRock's Global Investment Operations team. He is responsible for EMEA Clearing and Collateral Management, which facilitates calculation, reconciliation and instruction of cleared initial margin and variation margin as well as bilateral collateral movements. 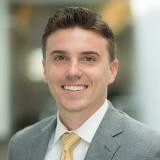 Mr. Persiani joined BlackRock in 2004, as part of the MLIM merger, initially working as an Analyst within our Trade Operations function in Delaware. He quickly assumed supervisory responsibility and spent 6 years across several products, including Fixed Income, with a specialization in Mortgaged Backed Securities. He moved to Broker Dealer Services in 2012 to lead the function in the US, before relocating to Edinburgh and assuming his current role within Derivative Operations in 2015. He has also supported multiple firm wide operational integrations and transitions, including the initial build out of the operational processes supporting the Aladdin Trading Network. Sean leads the EMEA region for Vanguard’s Global Investment Operations teams including Investment Book of Record (IBOR) functions, liquidity management, trade processing, corporate actions, and trade reporting. His teams provide both local intra-day trade floor support and operational support for all Vanguard products globally. In addition, he serves as the global head of the Investment Ops Oversight & Control function, focused on risk management. His current priority is future-proofing his organisation against complexity, scale, and risk through a global transformation. He has held a variety of Finance leadership positions between London and the US during his tenure at Vanguard. 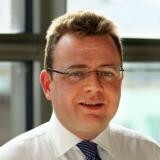 Sean also helped launch the EMEA Investment Ops team in London in 2011. Sean holds a degree in Finance and International Business with executive education from Harvard and London Business School. 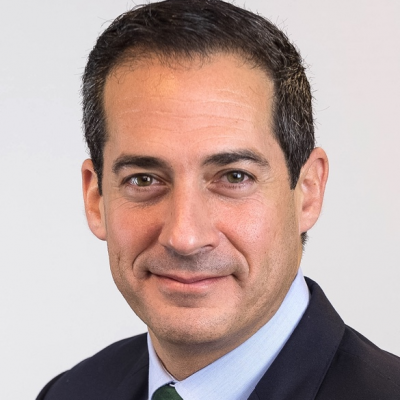 As chief operating officer, Alain has leadership and general management oversight responsibility for all core activities of Wellington Management Funds Global Group (WMF Global) which serves as fund sponsor for certain Wellington-managed fund vehicles offered to clients outside of the US. 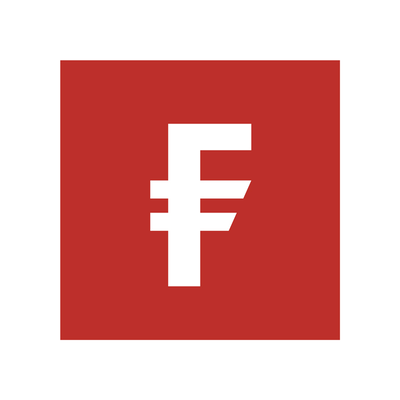 The team oversees all aspects of these funds, including fund governance, product development, risk management, marketing, operations, and servicing of fund investors. Prior to joining Wellington Management in 2018, Alain was the head of Fund Administration at PIMCO (2008 – 2018) where he was responsible for all aspects of fund operations and management for PIMCO European Offshore Funds. Before that, he worked at PricewaterhouseCoopers in the United States, Luxembourg and Spain (1998 – 2008), with a focus on Asset Management. Alain received a Master of Science in Business Engineering (1998) from Louvain School of Management, University Catholic of Louvain and a Diploma in Analysis, Control and Auditing from HEC, Belgium. He is a chartered accountant from Luxembourg and speaks fluently French and Spanish. As Managing Director of BlackRock’s Global Government Relations and Public Policy team, Stephen focuses on Global and European public policy issues impacting end-clients. 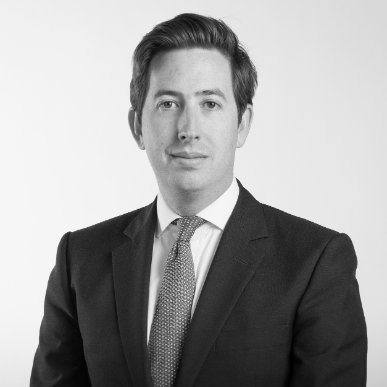 Prior to working for Blackrock, Mr Fisher has significant experience in market policy roles at as the Dutch Banking Association, European Banking Federation, Financial Services Authority and HM Treasury. Stephen and his team at are currently looking closely at CCP recovery and resolution – specifically what measures are required to prevent market aggravation, what course CCP resolution should take, and how risk management practices should be constructed. 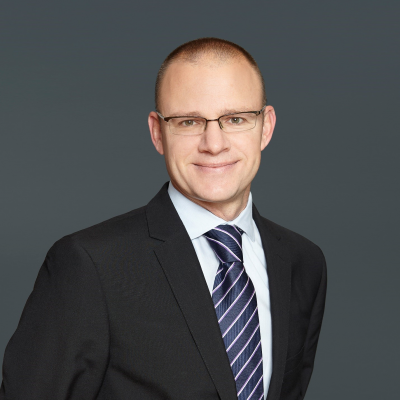 Krzysztof Wierzchowski - Director of Global Trade Services based out of Poland, overseeing Franklin Templeton’s Derivatives and Foreign Exchange Trade Operations, Collateral Management, Regulatory Reporting and Operations Consultants Team. In Franklin Templeton since 2012, initially as a Senior Manager in Business Excellence Team (Internal Management Consultant Group). In his role, Krzysztof was responsible for projects aiming at reinvention of Franklin Templeton’s products distribution in Europe. He has also been involved in the number of initiatives in the area of business strategy and operations in Franklin Templeton Services group. Krzysztof has broad knowledge of financial industry from back to front office and gained experience working in multinational environment based out of UK, Malta and Poland. He holds MSc in Economic policy and business strategy from Poznan University of Economics and has about 20 years of working experience in the areas of sales, operations and process change. Jim Kearney is a Principal at Vanguard and the head of the Vanguard Global Investment Operations organization. Jim’s global team is responsible for trade support, settlements, Corporate actions and securities lending for all Vanguard products. In his prior position Jim led the Project One Development Team, a business technology team managing a 5 year program focused on unifying the Vanguard Transfer Agent and Broker Dealer organizations, creating a singular experience for all retail direct investors. This effort resulted in a common platform for investors to hold, and transact on Vanguard funds, Vanguard ETFs and any other assets held at Vanguard. In previous Vanguard roles, Jim led a business technology team focused on implementing vendor solutions that would streamline the fund administration process, including trade management, corporate actions, treasury services and gold copy data management. He was also the leader of the Vanguard Small Business Retirement Plans, and spent a large portion of his career leading various businesses within the Vanguard Brokerage Services unit. Jim has studied at Immaculata University, and holds FINRA’s series 7, 63 and 24 licenses. 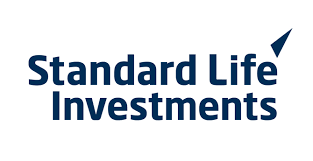 Mike joined Standard Life as a graduate trainee in 1994 and is responsible for all aspects of asset management Operations in Aberdeen Standard Investments. This includes the management of our major outsource providers like Citi, BNPP, IFDS and Bank of New York Mellon (BNYM). He is focused on developing a world-class asset management operations team which can support the organisation’s global growth agenda and provide innovative solutions to increased complexity. Mike previously had senior roles in Mutual Funds Operations, SLI Change Management and Investment Operations. He was appointed to the SLI Board as Executive Director of Operations in August 2010. Mike took up his current appointment as Director of Operations for Aberdeen Standard Investments on 14 August 2017. Mike is a retired football referee, having taken charge of 60 Scottish Premier League games during his 10 years operating at the top level of Scottish Football. He is married to Anne and has two children, Ethan and Levi. Darryl is responsible for regulatory implementation at SSGA which involves managing a number of projects relating to new regulation, affecting the asset management firm. With MIFID II demanding huge change, Darryl has turned his focus to preparing SSGA for smooth and streamlined implementation. He will be exclusively sharing his insight and tips on how to prepare and implement changes within operations departments for this new and complex reform. 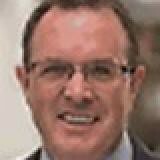 Steve has over 20 years experience in buy side asset management. 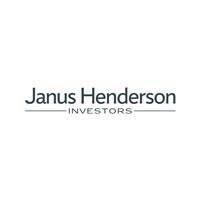 He has lead change management programmes across his career and is now responsible for investment operations, global data management and regulatory operations and Janus Henderson Investors. Steve will be joining us at InvestOps to host our buy side only lunch. Daniel is currently responsible for Allianz’s compliance culture, including strategic development of the Compliance function, and all aspects of regulatory compliance, which includes leading the Treating Customers Fairly/Sales Compliance Program, Solvency II implementation, and other aspects of prudential and securities regulation. Prior to joining Allianz, Mr. Sandmann was Director at Deutsche Bank in charge of the interaction with regulators globally, including coordination of regulatory audits and of the colleges of supervisors, where he coordinated various regulatory investigations. 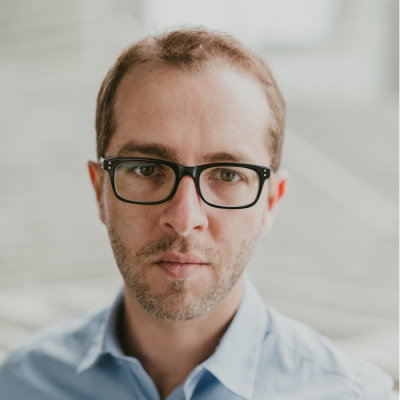 Daniel’s in-depth experience in high-level regulatory compliance roles best places him offer insights on the impact of financial regulation on financial institutions as a whole. He will be sharing his insight and analysis on the all-star panel considering the impact of regulation on institutions. Man is an active investment management firm focused on delivering attractive performance and client portfolio solutions, deploying the latest technology across our business to help ensure we stay at the forefront of our evolving industry. Across our investment managers, we manage US$ 112.7bn for our global clients. We provide long-only, alternative and private markets products on a single and multi-manager basis Responsible for the operating model of Man servicing 5 main investment units, covering operations, technology and fund treasury functions. Jean-Charles Delcroix has been serving as Chief Compliance Officer of Amundi Asset Management UK entities since 2015. 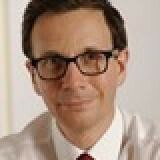 He is also a member of the Executive Committee (UK) and the Board of Directors of Amundi UK. 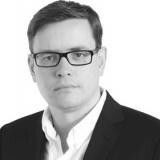 He is in charge of the supervision on all the compliance topics for the UK and Asia subsidiaries. Amundi is Europe’s largest asset manager by assets under management and ranks in the top 10 globally. Thanks to the integration of Pioneer Investments, it now manages more than 1.4 trillion euros of assets across six main investment hubs . Amundi offers its clients in Europe, Asia-Pacific, the Middle-East and the Americas a wealth of market expertise and a full range of capabilities across the active, passive and real assets investment universes. 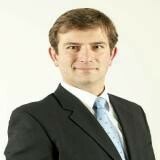 Fabio Tramontano is an Executive Director within GSAM Operations and is part of the Operations Senior Leadership group. He currently manages the GSAM Operations Client Management, Trade Management and Private Wealth Management teams in EMEA. 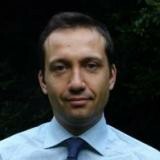 Fabio joined Goldman Sachs in 2006 and has held a variety of positions within GSAM Operations including Asset Servicing, Middle Office and Client Onboarding roles. Fabio graduated from Warwick University in 2006 with a BA in Sociology. 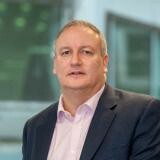 Stuart has held a number of roles at Fidelity in Technology, supporting a wide range of business areas, including Fund Accounting, Trading, Fixed Income, Portfolio Management and Retail Distribution.Most recently he has been responsible for the re-platforming programme for the UK distribution business, and leading the company's global digital initiatives to improve customer experiences, particularly in the retirement area. Stuart currently holds the title of Head of Technology for Distribution, Infrastructure and Architecture. 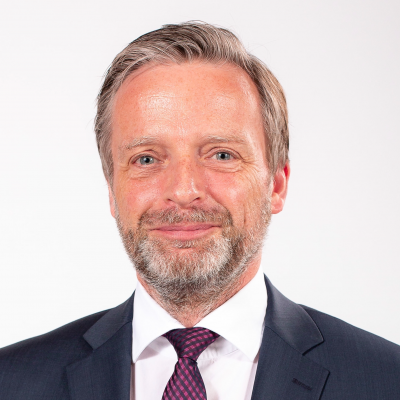 Stuart is leading the largest change programme in Fidelity International’s history with the migration of FIL’s UK Platform business, covering the Fidelity Personal Investing and Advisory propositions, to its new Digital, Contact Centre and Core record keeping platform. To date this has included 42 individual client migrations involving over 750,000 clients. The new platform has already seen an expansion in proposition through the launch of the Fidelity Brokerage offering. 2018 will see the consolidation of the remaining UK wrappers and customer segments onto this single platform. Karin (1977) joined the Executive Committee of Robeco in November 2015 and became COO a year later. She is responsible for Information Technology and Operations. Effective 1 May 2018, Karin has been appointed a member of the Supervisory Board of the Erasmus University Rotterdam Holding BV. Karin has held various positions at Robeco, where she has worked since June 2006. Starting in 2009, she headed the Operational Risk Management department, followed by the Global Information Services Department from 2014. 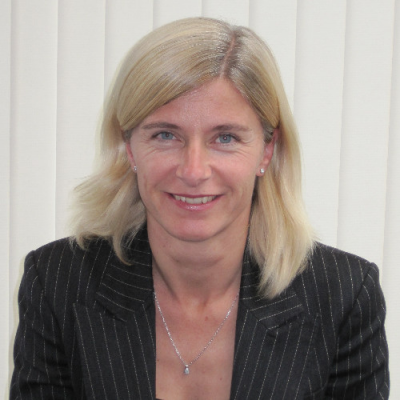 She started her career in the financial services industry in 2004 at Atos Consulting. 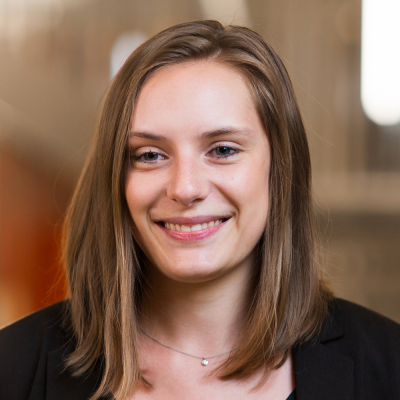 Karin graduated from Utrecht University and holds a Master’s degree in Business Economics and a Master’s degree in Corporate Law. Vikramaaditya is Chief Transformation & Administration Officer for HSBC’s Global Asset Management business with responsibility for leading the global portfolio of business and regulatory change initiatives as well as strategic initiatives within Operations including global infrastructure change and optimisation of operating models. HSBC Global Asset Management manages assets of over USD 460Bn with offices in 26 countries and territories across the world. 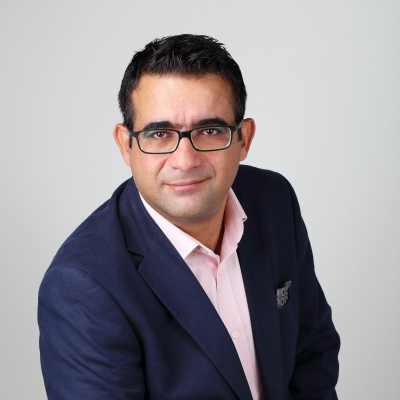 Vikram has over two decades of experience in the financial services sector across diverse businesses in UK and India. Prior to his current role, Vikram was responsible for global business strategy for HSBC’s Global Asset Management business and was earlier CEO for HSBC’s Asset Management business in India. Vikram has also led HSBC’s Securities Services business in India. 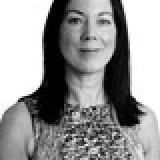 I have been heading up Derivatives Operations at Nordea Asset Management since 2010 with the responsibility for operational handling of all listed and OTC derivatives as well as Central clearing and collateral management.. Prior to joining the Derivatives Team, I worked as financial advisor in the Nordea Branch from 1997 – 2004 after which I joined Savings & Asset management as business Analyst in the benchmark team. I became team leader for the benchmark team in 2006 and in 2007 I also took up the position as head of the cash management team. I hold a diploma in Finance from Copenhagen Business School - 2003. A graduate of Edinburgh College of Art with a BA Hons in Illustration, Kyra has a wealth of experience having worked at Scottish Widows, Walter Scott Investment Management and Blackrock since joining financial services in 1999. 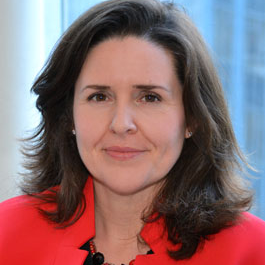 Since joining Standard Life Investments (SLI) in 2012 working in advisory and regulatory change, she has particularly focused particularly on MiFID II (particularly market structure changes, EMIR/MiFID interaction, research, best execution and target market) and global derivatives regulation (Dodd Frank, EMIR, IOSCO, FSB) over the last few years. Kyra’s work involves assessing how regulation will impact SLI both directly and indirectly in terms of impacts on counterparties. She is increasingly involved in discussions on impact of regulation with clients, to help them understand the requirements and what they might need to do to navigate the regulatory environment. 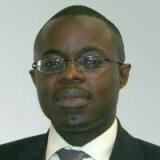 Isidore joined the Operations team of Pictet Asset Management in 2006 as Middle Office Derivatives specialist. Since 2008, he is Head of Core Operations, which includes Transaction Processing, Portfolio Administration, Reconciliation & Collateral Management Units. Prior to working for Pictet AM, Isidore worked for the UBS group for more than ten years, both in Switzerland and in the US. His various roles included US equity and derivatives advisory, equity sales trading and execution, and subsequently US equity research sales for institutional clients in Geneva and Lugano. He also worked at Banque Safdié and at Société Générale, where he handled execution, sales trading and equity advisory for the research and investment functions. His current challenges are mainly around coping with existing and new regulations, managing operational risk primarily through increased automation and controls, manage costs and promote efficiency gains , and develop Fund Manager’s service proposition. Katy is the lead regulatory consultant at M&G Investments. She will be joining us at InvestOps to share her experiences and expertise on MiFID II, including the challenges faced and lessons learnt. Naomi Clarke has over 25 years in the financial sector, advising many well-known names on all aspects of data - from governance, through to day-to-day management and architecture. 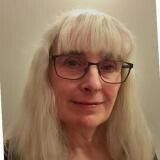 This has been complemented by her in-depth knowledge of process transformation and operational risk and control frameworks. As a data enthusiast, she is pleased to see data regaining the attention it deserves as the key to process effectiveness in the banking sector. Naomi has an MA from the University of Oxford. As Head of Global Regulatory Development at AXA Investment Managers, Stéphane Janin is responsible for the regulatory affairs covering both interaction of AXA IM with policy-makers and regulators, as well as adaptation of AXA IM to regulatory changes. He will be providing an impeccable insight to our all-star panel on the impact of regulatory cost on trading strategies. 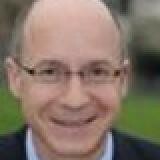 Having previously been Head of the International Affairs division at the AFG, a Member of the Board at the International Investment Funds Association, and a Seconded National Expert at the European Commission, Stéphane has long been in the crux of analysing the impact of regulation on financial institutions. 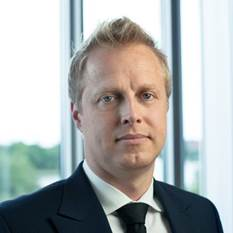 Henrik is responsible for leading leaders within Asset Management Operations. Middle Office is responsible for: Life cycle management and maintenance of static, benchmark and market data in Nordea Asset Management’s main system (Simcorp Dimension)Daily monitoring and maintenance of investments guideline and legal rules for institutional mandates and funds (Ucits and AIF) for risk management purposes. Providing data for fund- and Client reporting e.g. key figures, performance, etc. Leontien works as Principal risk manager in the Financial Risk Control team of PGGM Investments. Her main responsibilities are the counterparty risk management as well as the balance sheet liquidity analyses for PGGM clients. Furthermore she is an expert in the field of EMIR regulation, central clearing and collateral management. Leontien has over 16 years of in experience in financial markets. 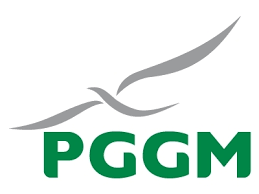 Before joining PGGM she held the position of Global head of credit risk at Optiver, where Leontien gained 10 years experience in the field of (credit) risk management. Until 2003 Leontien worked as financial analyst at Dexia Securities. She started her carreer at MeesPierson Capital Management in 1996 as trainee. Leontien studied International Financial Economics at the University of Amsterdam and holds a RBA degree since 2001. Harold is Aviva Investor's Head of Operations Securities Finance working across all global regions with multi asset-classes. 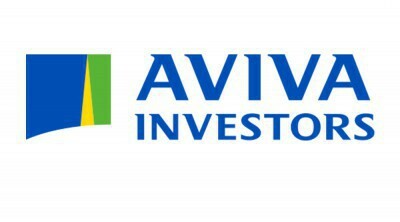 He leads a team that oversees all operational aspects of Aviva Investors covering their 60 billion GBP in lendable assets. Harry is currently focusing on ensuring highly efficient operational workflows relating to trade, settlements, corporate entitlements and fee income collection. This has involved implementing a single system from the front end to back office as well as resolving CASS - client money reporting rules. 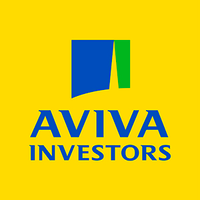 He is heavily involved in securities lending, something he has done successfully to support Aviva’s operations for over 14 years. Holger Schwetje looks after Operational Readiness within the major Middle Office transition and outsourcing program AllianzGI is currently conducting. Besides ensuring that all impacted functions, stakeholders and external parties are operationally ready prior to go live, he and his Global Co-Lead are responsible for data quality, outgoing provider exit planning, internal and external stakeholder communication, and post-migration hyper care. 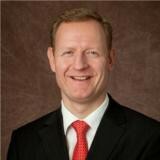 Holger worked for Dresdner Bank in Hannover and Frankfurt before joining Allianz Global Investors in 1989 in Fund Accounting. His career has led him through Internal Audit and Investment Compliance into the Operations area. Here he has assumed additional responsibilities over the years, making him Co-Head for all Investment Operations functions across Europe. Most recently, he has taken over the Global Co-Lead of Operational Readiness within AllianzGI’s project “Diamond”. 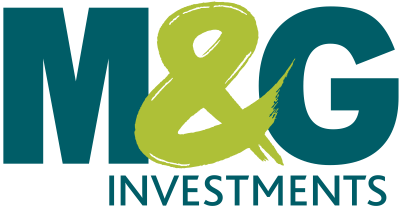 Michelle joined the Transformation function within M&G Investments in 2008, specialising in delivering change associated with Securities Lending and Repo transactions. Over the last ten years Michelle has worked in a number of capacities across the Transformation function, partnering with both Front Office and Investment Operations to deliver strategic transformation for the organization. More recently, Michelle has focused on Regulatory Change and is currently Leading the implementation of SM&CR across the newly forming M&G Prudential organization. 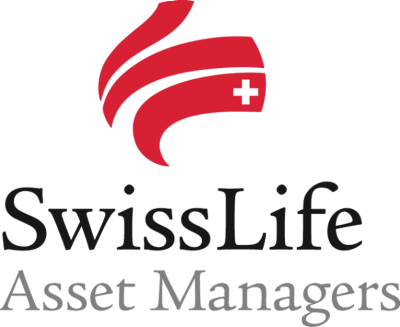 Jan is responsible for investment and risk-controlling, securities accounting, and investment administration, including collateral management at Swiss Life. He is currently in the process of setting up Swiss Life Asset Management to be clearing compliant, using a variation of model structures in different situations, and is working to streamline the operations. 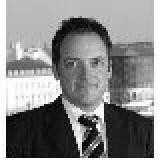 John is an independent industry practitioner specialising in derivatives and collateral management. He advises the buyside (asset managers and others) on responding to market and regulatory change [including EMIR, UMR and MiFID II]. 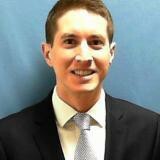 Previously he worked with the sell-side developing derivatives clearing and collateral management services. He speaks frequently at conferences a practitioner on industry change as well as related impacts (operations, finance and technology). He also works with industry organisations including ISDA and the IA as vendors and industry utilities. Current areas of focus include optimising the cost of derivatives in the new world, operational efficiency and automation of new regulatory processes and looking beyond regulation. 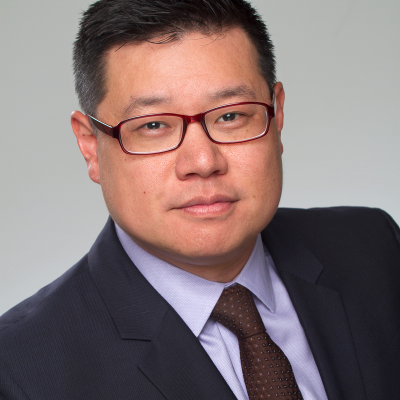 Previously he was a senior manager in Accenture’s capital markets practice for over 10 years. Having lived in Algeria, the United States, France and Switzerland, Mohammed has a substantial experience in different management styles and workplace cultures. He worked for major companies such as ATT, Qwest Communication, Microsoft, the US Department of Education, Nestlé, The Global Fund (a NGO) and finally, in the past 5 years, for Unigestion: an asset manager ranked 275 worldwide according to IPE. 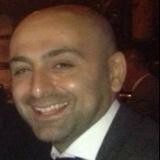 Mohammed’s roles are: Head of IT Operations, Change and Release, Service Level and Incident Management. In addition to his operational responsibilities, Mohammed successfully managed transversal projects including replacing nearly all users PCs by virtual machines (VDI). Mohammed defines his management style as a mix between the American and the European one: Process oriented but ready to break all rules and take risky decisions when needed. 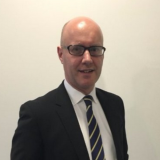 Having over 20 years financial industry experience, Matthew has provided operational expertise for the past 15 years for the operations arm of a successful quantitative hedge fund, being involved in all operational functions. Working for a tech-orientated firm Matthew continually focuses on automation and monitoring of work flows, notably involved in the implementation of an in-house real-time margin and cash management tool. Having previously worked for a fund administrator and on a buy-side trading desk, Matthew has been able to offer innovative solutions to operational issues. 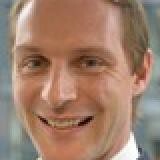 Oliver is responsible for middle office operations at Pictet asset management and is also the deputy head pf core operations. Prior to this, Oliver over 10 years at BNP Paribas Securities Services in Global Operations, so brings experiences to share from both buy and sell side at InvestOps. 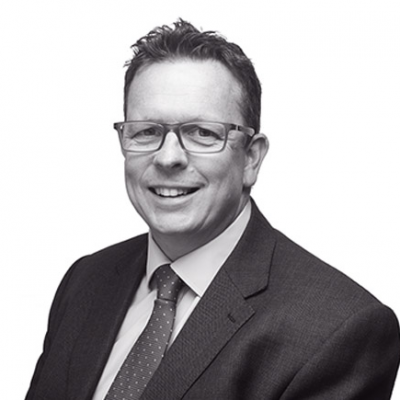 Paul Miller is a partner at Catalyst Development Ltd and has had a varied career as an industry practitioner working for asset managers, a hedge fund and an investment bank, before working for a leading software vendor. Paul made the logical move to management consulting in 2002, when he joined CSTIM, subsequently co-founding Knadel in 2009. In February 2018 Knadel was acquired by specialist financial markets consultancy Catalyst. 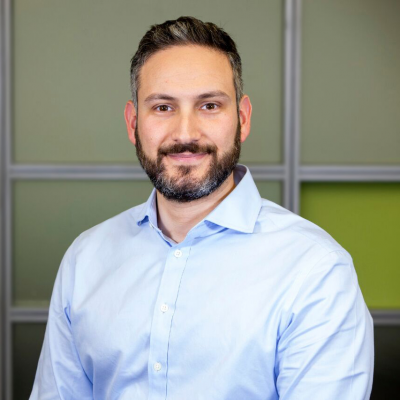 Paul has extensive experience of IT and operations and focuses on working with senior executives to provide advice and guidance on large-scale transformation programmes; he is routinely a member of his client’s internal and joint steering groups. Head of IT business change with over 20 years’ experience in the financial services sector across a range of institutions, business functions and financial products. 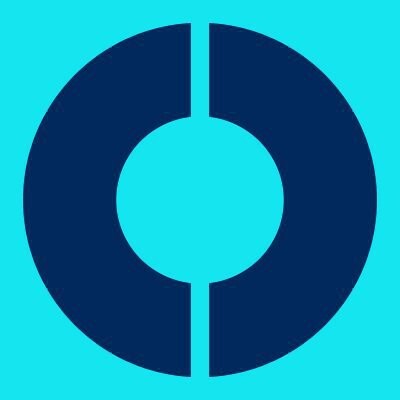 Main responsibility at Coller Capital is to drive strong business/technology alignment with the objective of fulfilling the business demand for capabilities, tools and platforms that help reinforce our market leading position. Coller Capital is one of the world's leading investors in private equity's secondary market. Vincent is responsible for various legal domains related to capital market issues e.g. (i) MiFID II; and (ii) European Regulation on OTC derivatives, central counterparties and trade repositories (EMIR); and (iii) Market Abuse; and (iv) Risk Management at EFAMA. He is heavily involved in legislative proposals and amendments on MiFID II with the European Council, the European Parliament and the European Commission and advising on the implementation at national level of the covered EU legislation. 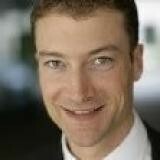 Christoph Heid is Deputy Head of Division “Strategy, Policy and Oversight – Payments and Securities Settle-ment”. 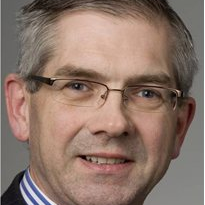 He joined Deutsche Bundesbank in 1988 and has spent most of his business carrier in the area of pay-ments, securities settlement and collateral management. 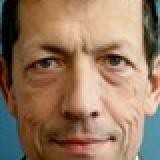 His special focus is on TARGET2, TARGET2-Securities and Vision 2020 of the Eurosystem. He is participating in the National TARGET2 User Group as well as in the Advisory Group on Market Infrastructures on Payments (AMI-Pay) and different working groups at the level of the Eurosystem. 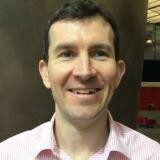 James Cunningham is a Senior Advisor within BNY Mellon’s Office of Public Policy and Regulatory Affairs in Europe. He specializes in regulatory initiatives relating to market infrastructure, post-trade and collateral management. 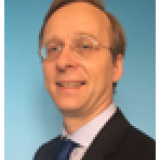 In recent years, he has covered such topics as CSD Regulation, EMIR, and T2S-related market practice harmonisation work.He is a member of several industry and regulatory-contact working groups, including the European Central Bank’s Advisory Group on Market Infrastructures for Securities and Collateral (AMI-SeCo) and the T2S Harmonisation Steering Group. 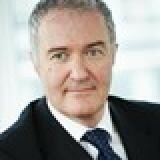 He is also currently chair of the T2S Corporate Actions Sub-group (CASG). He has worked in financial services since 1991 in a variety of different positions. Patrick Pearson is Head of Financial Markets Infrastructure in the European Commission’s Internal Market Directorate General. 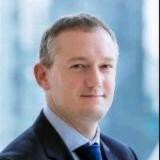 He is heading the team that is responsible for regulating OTC derivatives and clearing and settlement. He previously headed the Commission's banking regulatory team and was responsible for the Financial Services Action Plan. Before joining the European Commission Patrick Pearson worked for the Dutch Finance Ministry. 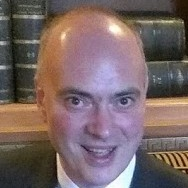 Dr Swinburne was elected as Conservative MEP for Wales in July 2009. Her academic qualifications include a degree in Biochemistry and Microbiology followed by a Ph.D. in medical research and an MBA. A successful career in investment banking has given her in-depth knowledge of the global financial markets, specialising in advisory work for pharmaceutical and biotechnology companies, including M& A, venture capital investments, mezzanine financing and IPOs. This, combined with her experience advising businesses in Europe and the US, led to her appointment as Coordinator of the Economic and Monetary Affairs Committee. Other responsibilities include being a member of the European Economic Area delegation. Dr Swinburne also serves as a Welsh Conservative Party Board Member. Dr Swinburne has followed closely all of the financial market reform legislation in the EU since being elected and is shadow Rapporteur on the Markets in Financial Instruments Directive and Regulation (MiFID II) and the Regulation on Benchmarks reform, as well as EMIR concerning central clearing of derivatives and SFTR concerning the reporting of securities financing transactions. Anthony Hilton, the chief economics and business commentator for the Evening Standard is one of the longest serving British business journalists having joined Fleet Street in 1968 as a Trainee on the Guardian, with an MA in economics. He moved to New York for the Sunday Times in 1979, returning to become a City Editor of the Times in 1981 and moved to the Evening Standard in 1984 where he has served as City Editor, Managing Director and currently as Financial Editor. A multiple award winner for his journalism he last year collected the Journalist of the year award from the British Insurance Brokers Association and in March was given a life time achievement award by the ABI. His most recent success was the Headline Money Award for “ Outstanding Achievement.” He began his public speaking career when he worked for three years as economic commentator for Channel 4’ on The Business Programme in the late 1980s and subsequently went on to devise and co present the Stocks and Shares Show for ITV. 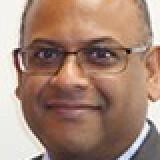 Currently he is the finance and business commentator for the Evening Standard and a weekly columnist for The Independent. Unusually for a journalist he has also had a successful commercial career, being involved with the launch of several magazine and publishing companies, serving as a non executive director of a Lloyd’s insurance company and a management consultancy and serving for six years as chief executive of the Evening Standard and a director of Associated Newspapers Ltd, owners of the Daily Mail. He has also served for 20 years as a pension trustee and member of its investment committee. 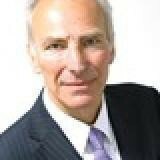 He was a visiting professor in economics at London Metropolitan University in 2010-2012 and received an honorary degree from Aberdeen University in 2011 in recognition of his articles from 2005 – 2007 predicting the financial crash. Steve is the owner of Performance Edge Consulting Ltd and is passionate about performance and enhancing people’s performance. He specialises in working with trading, investing and banking clients helping them to enhance their performance by providing training, coaching and consultancy that is focused around the three key areas of psychology, physiology and performance. Prior to his work in the financial world he worked as a performance coach to elite athletes and teams in over 30 sports, and he has also coached professional poker players. He provides a highly practical approach to performance enhancement drawing upon a unique combination of performance psychology, decision science, neuroscience, biology, stress physiology, mindfulness-based strategies and elite performance principles. Shamus is the lead on Intelligent Automation (transformation/ automation through the use of Artificial Intelligence) for KPMG both transforming the firm's services but also taking this experience into the market place to help clients embrace this new and disruptive technology. Shamus has led several client projects focusing on Artificial Intelligence strategy and implementation. Shamus has spent the last 20 years delivering major transformation programmes and was one of the founders of the Offshoring Industry in the late 1980's. 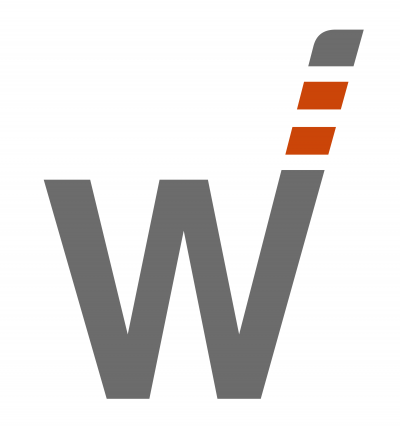 Shamus founded WNS, now one of the largest Offshore BPO providers. 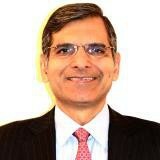 He helped build IBM's offshore BPO centres including acquisitions and was previously a partner at PWC. 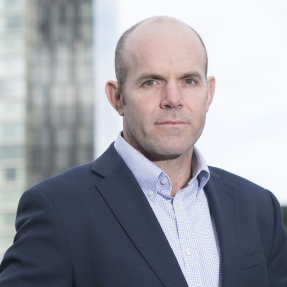 Shamus will be delivering the keynote presentation ‘AI – It’s Not In The Future, It’s Here, Now: How To Ensure You Are Investing In The Right Initiatives That Add Value To Your Business And Make Commercial Sense’ on the 13th June. 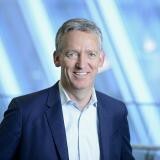 Giles Travers is a Managing Director with Lionpoint Group. 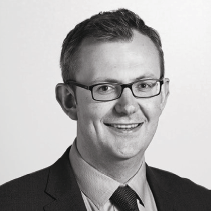 Giles has over 15 years’ experience of advising international asset managers in respect of technology, operations and legal strategy. Prior to Lionpoint Group, Giles was an investment funds lawyer before moving into senior roles within the alternative asset management industry. Lionpoint Group is a global consulting firm focused on delivering operational transformation and enabling technology solutions to the alternative investment industry. We partner with fund managers, investors and financial services firms to design target state operating models, lead system selection and implementation projects, and deliver operational improvement initiatives across the front, middle, and back office. 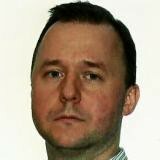 Alan Copping is Head of UK Presales and Product Management at SimCorp. With deep product knowledge of SimCorp’s Dimension, Alan’s primary focus is identifying and progressing opportunities in the UK, Ireland and Middle East. Prior to this position, Alan worked as a Pre-sales consultant with focus on back office and settlement processes including Trade Confirmation, Settlement, Collateral Management, Cash Management and Reconciliation. 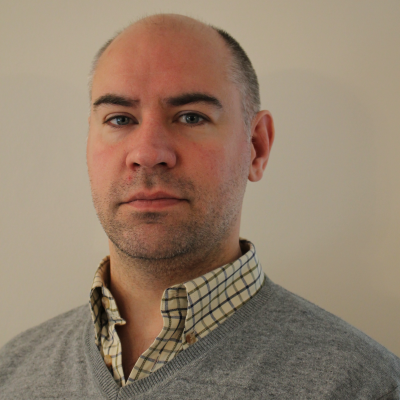 Alan joined SimCorp in 2011 from SmartStream Technologies where he had a 13 year career working as a programme manager, lead consultant and professional services manager across multiple SmartStream products. Andreas is a performance driven professional with a proven ability to achieve business-development and revenue-generation goals in high-pressure and fast moving environments. Skilled at consulting with clients to precisely analyze their individual situations and develop solutions to achieve their targets. 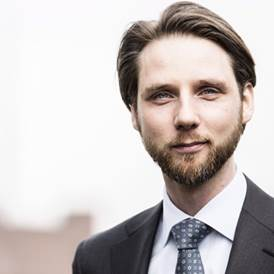 Since August 2015 Andreas is a Chief Business Development Officer at Point Nine – a Fintech company offering trade processing and regulatory reporting solutions. Point Nine generates significant savings, efficiency and productivity with full transparency. The company already processed more than 2 billion derivative trades on behalf of its globally based customers. 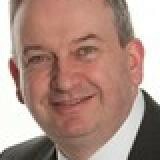 Alan Williamson manages Partnerships & Alliances for SmartDX, the Capital Markets division of Smart Communications. Alan has been with SmartDX for the past two years, having previously worked in senior relationship management roles within the Fintech space for over 20 years, most recently at DTCC where he spent ten years. 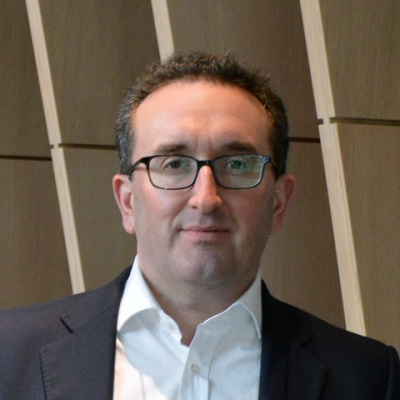 Alan sees technology as a key enabler for Capital Markets and looks to evangelise the new generation of cloud-based tools that facilitate the automation of documentation within the derivatives space: digitisation of legacy documents, workflow-based document negotiation, exposure of data points held within negotiated documents, and mapping of such data into downstream infrastructure, including blockchain (DLT). Given the raft of mandatory derivatives regulation already in-flight or upcoming, Alan argues that this new technology will enable the industry to scale its limited resources in a way that it has been unable to in the past. 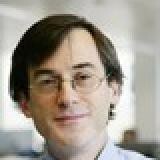 Ultimately it will allow the derivatives function to do more with less. 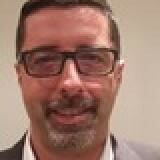 David White is head of sales for TriOptima’s counterparty exposure management service, triResolve. David has over 10 years of Capital Markets experience, starting his career as a consultant he has successfully advised on and implemented projects at a variety of derivatives market participants Utilising this experience in combination with additional BAU and change Middle and Back office roles, David regularly speaks at and attends industry forums and conferences. David holds a degree in Economics. David is responsible for driving new post-trade business ideas across Fidessa's global buy-side and sell-side community. This is based on the evolution of new business processes and workflows that reflect the changing regulatory environment and the practical realities of capital markets today. He provides detailed and broad-ranging input into the restructuring of business flows across financial markets in the post-trade environment. David is currently Co-chair of the FIX Trading Community's EMEA Post-trade Working Group, and is actively involved in the global industry debate to promote new post-trade business workflows that improve efficiency and reduce costs. David joined Fidessa in 1994 and his previous roles with the firm have included implementation and project management, business analysis and solutions architecture. As head of new business marketing for Europe he played a pivotal role in building Fidessa's sell-side managed services business in Europe. Prior to Fidessa David worked at a number of brokerage firms in London, gaining considerable experience of the workflow on the trading floor and the technology that supports it. 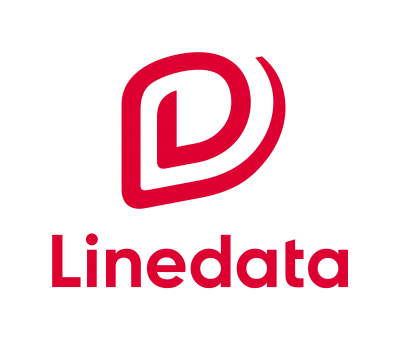 Ed Gouldstone is Head of Product Management for Linedata's Asset Management business, responsible for global product strategy for the company's buy-side solutions. Prior to his current role, Ed managed Linedata’s Hedge Fund products and had responsibility for European client services and delivery for clients across Linedata's suite of solutions for global asset managers. Since joining Linedata in 2004, Ed has held positions in support, client services and development focused on the global hedge fund community. 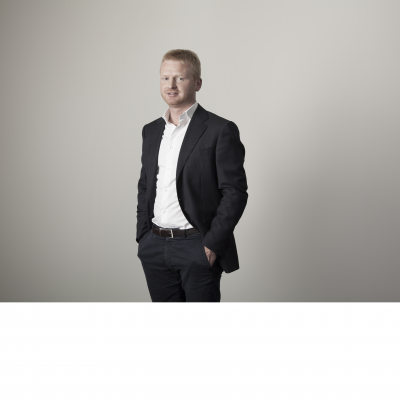 Ed holds a BSC in Mathematics from the University of Bristol and has held the Chartered Alternative Investment Analyst (CAIA) designation since 2007. David Nable is a Managing Director and the Head of Commercial Strategy for Arcesium. In this role, David is responsible for new business initiatives, marketing, analyst and consultant relations, external communications, product definition, and client relationship management. Prior to joining Arcesium, David was the Head of U.S. 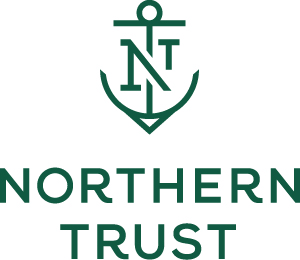 Sales and a member of the global operating committee for Credit Suisse Prime Fund Services, a fund services business that was acquired by BNP Paribas. 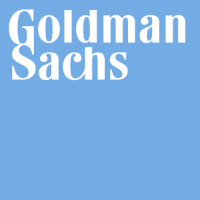 Earlier, David spent nine years at Goldman Sachs in sales and client management roles across both the Prime Brokerage and Fund Administration businesses. 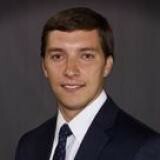 David earned a bachelor's degree in finance from the University of Maryland, College Park and is a CFA Charterholder. 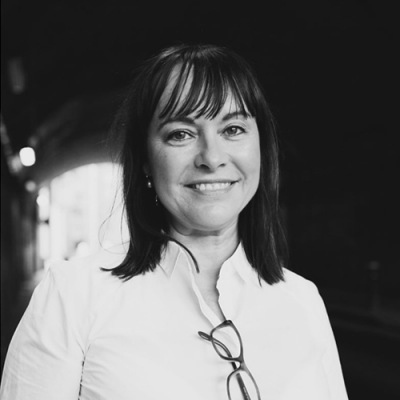 Julia is the Founder & CEO of Streets Consulting, the UK and US business development, marketing and communications consultancy working with a wide range of financial services and technology clients. 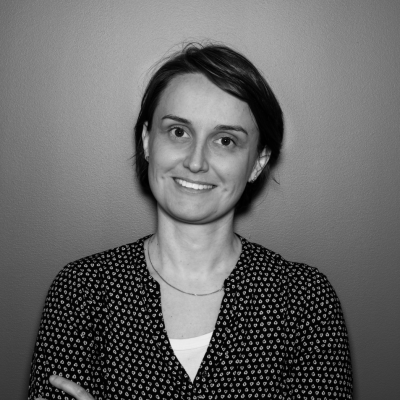 Prior to founding Streets Consulting in 2008, Julia was global head of communications at NYSE Technologies, serving on the Executive Committee and European head of marketing and sales development at Instinet. In 2013, Brummell Magazine named Julia one of their 30 Inspirational Women on Boards and in 2014 one of their 30 Inspirational Women Entrepreneurs. 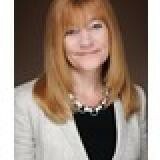 This year they listed her as one of their 30 Insprirational Women City Influeners. 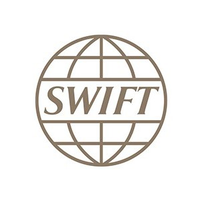 In the past three years Innovate Finance has listed Julia one of their Leading Women in FinTech and one of SWIFT's Global Power Women in FinTech. Julia is proud to serve as a trustee of the charity 'Children in Crisis' and is a Fellow of the British American Project. Mark Whitcroft is one of the Founding Partners at Illuminate Financial Management, a venture firm focused on early stage investing in financial markets fintech. Mark has been an early stage fintech investor since 2010 and currently sits on the Board of Directors of Illuminate portfolio companies AxeTrading, ChartIQ, Privitar and TransFICC. He is also part of the Advisory Panel for the Investment Association (IA) fintech accelerator VeloCity. Prior to Illuminate, he was an EIR at StartUpBootCamp FinTech London, on the Industry Advisory Board of ValueStream Labs and a mentor for Deutsche Bank in the Accenture FinTech Innovation Lab in New York. Mark spent twelve years in various fixed income capital market roles at Deutsche Bank and HSBC based in New York, Singapore, Hong Kong and London. 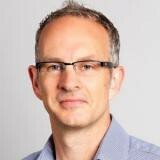 Mark has a BSc in Human Sciences from University College London and is currently on the Program for Leadership Development at Harvard Business School. Aprexo is a financial technology firm whose aim is to become the buy-side technology hub ( www.aprexo.com). The core of our Azure-born SaaS is a near real time transaction and position keeping service, a new generation Investment Book of Record or IBOR. Our key differentiators are the service architecture, open APIs, full bi-temporality and extensible data model. We will simplify fund managers’ IT architectures, improve investment decision making and enhance their client service. Aprexo’s team blends domain knowledge, industry networks and cutting edge technical expertise. Beyond IBOR, a suite of modules is sold via the Aprexo App Store. The Aprexo Marketplace is being populated with third party solutions, completing the functional richness of the Aprexo Hub. Launched in 2017, over half of the G16 Banks already rely on RegTek.Solutions expertise and technology for the quality, completeness and accuracy of their trade and transaction reporting. On a mission to bring ‘sustainable compliance’ to the capital markets, RegTek.Solutions helps firms lower the cost of compliance and mitigate risks. The firm’s strategy is led by Brian Lynch, its CEO and Co-Founder, informed by 20+ year experience in senior capital markets technology roles. He most recently held a COO position at UBS. Previous entrepreneurial experiences include starting an ending a dotcom, a good education for this next adventure. Paul Chung joined Electra in 2016. 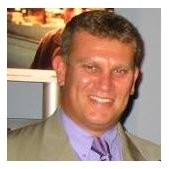 He brings more than 19 years of industry experience, working in a variety of capacities across sales, consulting and relationship management with a concentration in the middle and back office reconciliation. His current responsibility is delivering reconciliation solutions and client services to asset managers and hedge funds and to help them strategize how the solutions can best be used in their businesses. Mr. Chung is a graduate of Western University (London ON) with a Bachelor of Arts in Political Science and Government. 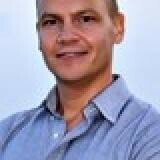 Steve is an angel investor and independent director who has worked primarily in FinTech. Previous investments include FRSGlobal, a Belgian RegTech solution, Rivo Software, a UK company in the GRI space, Point9 a cloud based mid and back office solution and Dovetail a UK based payments software solution. Currently 100% focused on promoting CloudMargin a SaaS solution for collateral management. 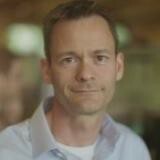 Anders heads up the Enterprise Architecture and SimCorp Technology Labs functions. Prior to SimCorp, he was a developer and architect for several years, and had a stint as a start-up CTO. At SimCorp, he has held various technology strategy and product management roles, being the main driver behind initiatives like user experience, Alerts Inbox, Dashboards, HTML5, and mobile devices. Currently, he is responsible for the long-term longevity of the platform, involving cloud-based transformational challenges. 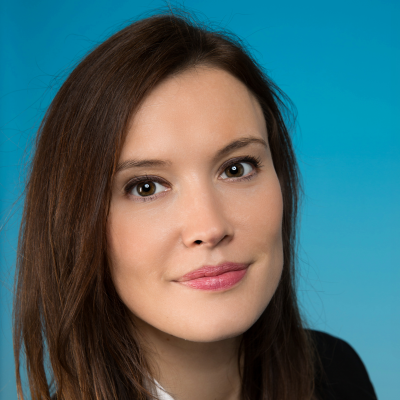 Typhaine Bettler is currently Head of Middle Office and Reporting within Amundi London Branch since 1st September 2018 and manages 17 persons split into 3 distinct teams (Trade Processing, Portfolio Administration & reporting, Fund Transition & Project Management). She joined Amundi in 2011 as an operational risk coordinator within the Middle-Office. Typhaine was previously in charge of subscription/redemption Middle-Office team (2013-2015). Her last role was as head of Listed Securities service within Amundi Middle-Office from 2015 to 2018. Typhaine Bettler holds a Master in Finance from the University of Cergy-Pontoise. The Danske Bank Group is a leading financial institution in the Nordic countries (MCAP of EUR 31bn, total assets of EUR 475+bn). It is the largest bank in Denmark with a history that goes back more than 140 years. Today, the Bank serves some 2.7 million personal customers with Denmark, Norway, Sweden and Finland as core markets, and employs more than 19,000 FTE. Wealth management serves the Bank’s entire customer base and encompasses expertise within pension savings, private banking, and wealth and asset management. The unit includes Danica Pension, Danske Capital and Private Banking customers with complex finances. ~EUR 200bn in AuM. Jacob is the Global head of development of investment solutions across all segments (Institutional, Private Wealth, Retail), chairman of the wealth management product committee and global head of wealth IT platform development (primarily SimCorp Dimension). Eagle Investment Systems, a BNY Mellon company, is committed to helping financial institutions worldwide grow assets efficiently with its innovative portfolio management suite of data management, investment accounting and performance measurement solutions that are delivered over its secure private cloud, Eagle ACCESSSM. In addition to the cloud solutions, Eagle’s Managed ServicesSM offering helps deliver enriched and ready for use investment data. As Head of Sales, EMEA, Marc focuses on understanding the business challenges faced by investment managers in Europe, the Middle East and Africa, to present prospective clients with Eagle solutions to help drive greater operational efficiency. Mark Holmes is Founder & CEO of Waymark Tech, a company that provides AI-powered software to compliance officers to automatically identify and analyse changing regulations. He previously spent almost 15 years in financial services, holding roles at Traiana, HSBC, Nomura, Deutsche Bank, and Morgan Stanley. Marion is the Head of Investment Operations in EMEA for J.P. Morgan Asset Management. She also has global responsibility for Equities, Beta/ETF and Solutions Middle Office Operations. Marion joined J.P. Morgan in 2014 from Citigroup, where her last role was as Product Head for the Alternatives Fund Administration business in EMEA. Marion spent 13 years with that business in total and also held a number of senior operational roles including Head of Fund Accounting in EMEA. 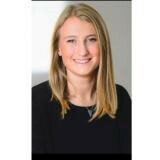 Previously, Marion worked at Salomon Smith Barney for 3 years, managing the European Equity Product Control team. Marion trained as a Chartered Accountant holding roles both in private practice and as an Audit Manager in the financial services audit department at KPMG. She is a Fellow of the Institute of Chartered Accountants in Ireland. Marion is also a member of the Institute of Directors, holding a Certificate and Diploma in Company Direction. Henry Raschen joined Samuel Montagu, now part of the HSBC Group, in 1989. He carried out a number of European financial reporting and investment analysis roles before moving to HSBC Securities Services. In his current role as Head of Regulatory Engagement at HSS he is responsible for identifying and assessing regulatory and market changes worldwide in order to specify future client services, as well as for liaising with regulators, market infrastructures and other organisations. He was a member of the ECB’s T2S Advisory Group from 2007-2012 and is chairman of the T2S UK National User Group. Mr Raschen is a chartered accountant. 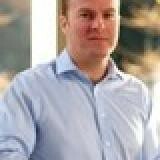 Luc Vantomme is Regional Head Europe, Relationship Management. 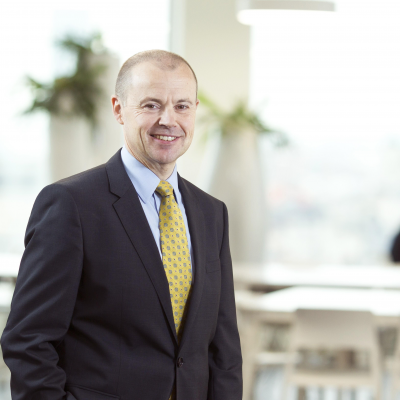 He has held a number of senior roles at Euroclear, including Global Head of Innovation and Chief Risk & Compliance Officer for the Euroclear group. He was also Head of Euroclear Bank’s Network Management and Banking division and had responsibility for all operations relating to investment funds at Euroclear Bank. 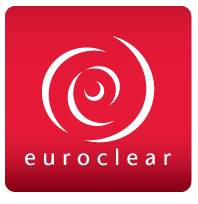 Prior to joining Euroclear in 1993, Luc spent six years working as a sales manager for IBM. 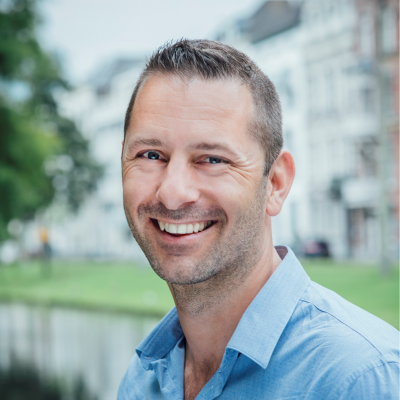 Luc holds a Bachelor’s degree in Commercial Engineering from the Katholieke Universiteit Leuven (Belgium) and took part in the J.P. Morgan Financial Programme in New York in 1997. Cathryn is an experienced markets infrastructure consultant and Non-Executive Director with a 30 year career in Capital Markets across multiple assets classes. 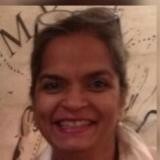 She has nurtured, built and developed a number of start-up businesses including ADX in Sydney, CBOT in EMEA & Asia, BM&F Bovespa UK, Nasdaq NLX and CurveGlobal in London. She has held a number of NED and Trustee roles including over 3 years on the Deutsche Bank UK Bank Board, and is passionate about bringing good culture and governance to early stage FinTech businesses. She has held roles from Floor Trader to COO and is known for her deep industry knowledge and excellent network. Cathryn was named in the top 100 Women in FinTech in 2015 and is a founding Trustee of Futures For Kids and founding Board Director of Women In Listed Derivatives (WILD) where she is an active mentor to women in the early stage of their financial services careers. Mark Weller, Managing Director of EMEA Asset Management, joined Broadridge as part of Broadridge’s 2011 acquisition of Paladyne Systems, Inc. Prior to this, Mark spent 7 years at Pertrac Financial Solutions, the performance and risk analytics provider, where he held numerous roles including Managing Director for both the EMEA and Asia Pacific businesses. Mark has now been working with asset managers and hedge funds for over 20 years, helping them reduce risk and streamline their operations. 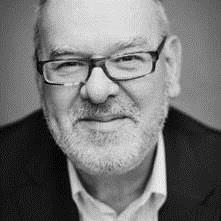 John Greenan is a commercially aware and creative technology disruptor, strategist, business analyst, developer and manager. He combines market knowledge, commercial/financial savvy, relationship building skills and an enviable contact list. 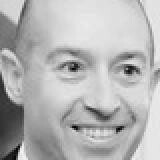 He has considerable experience of buy-sides, sell sides, execution venues and exchanges. He is the driving force behind FIX Orchestra, the next version of the FIX protocol. He works with multiple asset classes (fx, fixed income, equities, futures, options, money markets) building out electronic trading and the necessary workflow and business process changes. 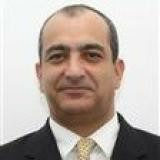 He has specialisations in: digital transformation, fixed income trading, strategy for trading systems/processes, market microstructure, OMS & EMS integration, ecosystem integration, connectivity, project management, business analysis, real-time systems and vendor relationship management. 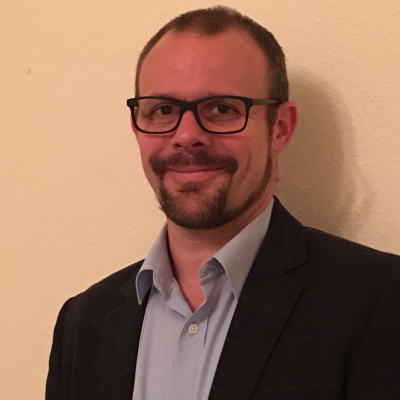 As part of his current role as Head of SWIFT Standards Tools & Methodologies, Jan is responsible for researching and specifying Tools and Methodologies that will ease the introduction of ISO20022 concepts and resources whilst designing applications in new technologies such as API and DLT. Coming from an IT Architecture and Development background, Jan can rely on a long experience in applying business standards to a wide variety of applications. 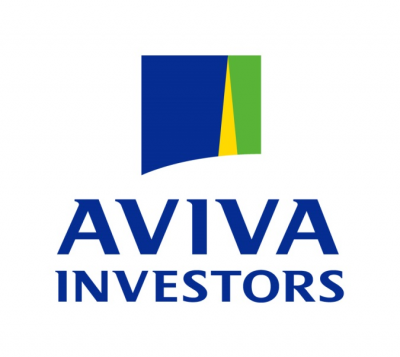 Louise Piffaut works in the Global Responsible Investment team at Aviva Investors. Her responsibilities include ESG (Environment, Social, Governance) integration as well as active stewardship across the liquid asset classes, including proxy voting. 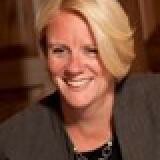 She is experienced in engaging companies on key corporate governance issues. 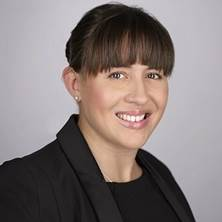 In particular, Louise has developed an expertise in data protection and cyber security, and focuses on the TMT sector. She sits on the United Nations Principles of Responsible Investment cyber security working group. Previously, she worked as an ESG analyst across the investment value chain, including Sycomore Asset Management, Natixis and BNP Paribas. Tom joined LPP in July 2016 from the Maple Financial Group, where he spent almost 20 years building his skills in different parts of the business. From 2008, he was the Chief Risk Officer (Market Risk), Global, a role that saw him drive the management and communication of Maple's business line policies within an economic capital framework totalling £400 million.